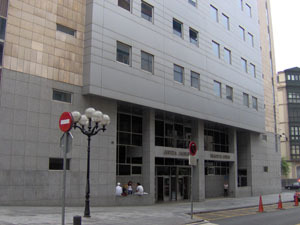 On Thursday 14th July, Bilbao Courts heard the case of a number of the SITIRS (Spanish Inheritance Tax and Income Release Scheme) product against Surrenda Link and Premier Isle of Man companies. From the victims’ part, lawyers insisted –and proved beyond doubt- on the crucial lack of regulatory clearance on not only the product, but the financial entities and the IFAs. Lawyers also proved that the inheritance tax reduction proposition was fraudulent. Our lawyers alleged that the product, called SITIRS (Spanish Inheritance Tax and Income Scheme), was a sham in every aspect. They also evidenced that lawyers appointed to act for victims were for the most part on the list of SLM appointed lawyers. A witness who had worked for Hamilton’s attended as the hearing and confirmed that clients were approached by telephone cold-calling. The witness also advised that IHT was the main reason why this product ever existed, in the first place. When asked by the Judge if her company was registered, the witness stated that it had applied for a license but never received a reply from the CNMV. For the part of SLM and Premier, the former argued that all risks were properly presented to the customer by signing the relevant forms. Insofar as Premier is concerned, their main allegation was that they were a different company from the one that sold the product during the 2005-2007 period. The presiding Judge took an interest in the case beyond what is normal and tried, whether successfully or not, to understand the mechanics of this product. At one point, she argued that if this whole financial proposition was so difficult for legal people to understand, what chances did pensioners have (?). The trial took six hours and the parties presented their oral conclusions. The ruling will be issued any time now although, as August is a Court holiday month, it may be that we do not hear any more until September. Ever since Mr. Dewsnip turned up at a Marbella Court -15 days ago- to help his former company bash equity release pensioners seeking justice, his fortunes have been reversed. Tipped by lawyers acting for ERVA, the Marbella Judge ordered Mr. Dewsnip -who had been issued with a search warrant- to provide an address in Guernsey for notifications and further remitted the findings to the Denia Court. The Judge presiding over this case in Denia has lost no time and ordered claimants’ solicitors to submit a list of questions that he will have to respond at the appropriate Guernsey Court. This deposition will be made via “letter rogatory”, as with Baron David de Rothschild. A recent Supreme Court ruling (March 2015) has sent shock waves through the many insurers that are offering single premium life insurance policies. Whether named as unit-linked single-premium life assurance policy, life assurance bonds, capital assurance or any other more or less fanciful denomination, any life insurance bond that is made up solely for the purpose of investment faces one very serious prospect: being declared void by Spanish Courts. But what does the word “actuarial base” mean? Simply put, traditional actuarial base or science largely revolves around the analysis of mortality and the production of life tables, and the application of compound interest. Which is exactly what these “life insurance” policies, for want of a better word, actually lack. “Judging by its features, this contract cannot be classed as an insurance policy but a capital investment”. Judging by these conclusions, thousands of contracts signed by expats face a serious risk of nullity: to name a few, Lex Life/Altraplan’ life policies, Nordea’s Capital Managed Plan, Seb-Irish Life’s Spanish Porfolio Bond, Prudential’s Spanish International Prudence Bond, Old Mutual’s Executive Investment Bond, Danske Life/Danica Life…and there is no time limitation to being a claim. Denia Court 1 has now received the translations from the Benidorm Translation Services Office and ordered a letter rogatory to be sent to the Paris appropriate judicial office. 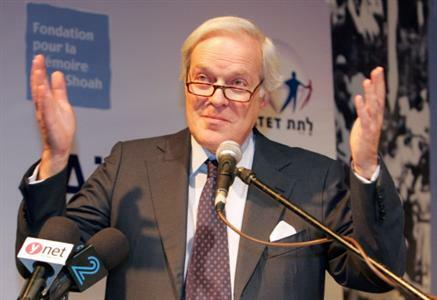 The letter of request obviously includes a petition that Baron David de Rothschild answers the questions submitted by the various lawyers. The Court decision can be said to be an official judicial decision to formally interrogate Mr. Rothschild in the Court of his domicile. Denia Court number 1 has issued a note urging the Benidorm Translation Services (Servicio de Traducciones de Benidorm) to speed up the international rogatory letter translation, into French. At the same time, the State Prosecutor has requested from the Court that investigation proceedings are declared as “complex”, a description that give the Courts -under recently approved procedural regulations- 18 months to conclude the investigation and either drop charges or, where the evidence is sufficient, proceed with trial stage.